AUSTRALIAN BUSINESS TENNIS TOUR PTY LTD.
What personal information does Australian Business Tennis Tour Pty Ltd collect and hold? • information you provide to Australian Business Tennis Tour through customer surveys or visits by our representatives from time to time. • when conducting due diligence on entities you are affiliated with. Australian Business Tennis Tour may also collect personal information from third parties including from third party companies such as recruitment agencies, credit reporting agencies, law enforcement agencies and other government entities. Our cookies do not collect personal information. The majority of web browsers automatically accept cookies. If you do not wish to receive cookies, you can adjust your browser to disable cookies but this may restrict your ability to access certain areas of our websites. We may log IP addresses (that is, the electronic addresses of computers connected to the internet) to analyse trends, administer the websites, track users’ movements, and gather broad demographic information. • complying with any law, rule, regulation, lawful and binding determination, decision or direction of a regulator, or in co-operation with any governmental authority of any country (or political sub-division of a country). To whom may Australian Business Tennis Tour disclose your information? • as required or authorised by law including to law enforcement, government or other organisations or where permitted under the Privacy Act. Australian Business Tennis Tour may combine or share any information that Australian Business Tennis Tour collects from you with information collected by any of our related bodies corporate (within Australia). Australian Business Tennis Tour may disclose personal information to our services providers, related bodies corporate and their service providers located overseas, including New Zealand, for some of the purposes listed above. Australian Business Tennis Tour will take reasonable steps to ensure that the overseas recipients of your personal information do not breach the privacy obligations relating to your personal information. 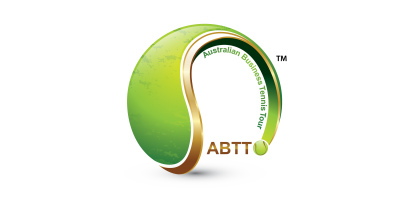 Australian Business Tennis Tour may send you direct marketing communications and information about our products and services and those of our sponsors and commercial partners that Australian Business Tennis Tour considers may be of interest to you. These communications may be sent in various forms, including mail, SMS, fax and email, in accordance with applicable marketing laws, such as the Spam Act 2003 (Cth). If you indicate a preference for a method of communication, Australian Business Tennis Tour will endeavour to use that method whenever practical to do so. At any time, you may opt-out of receiving marketing communications from us by contacting us using the contact details below or by using the opt-out facilities provided in the marketing communications and Australian Business Tennis Tour will then ensure that your name is removed from our mailing list. Australian Business Tennis Tour does not provide your personal information to other organisations for the purposes of direct marketing. You have certain rights to access personal information held by Australian Business Tennis Tour. To request access or to find out what information we have about you, please contact our Privacy Officer (see details below). Where Australian Business Tennis Tour holds information that you are entitled to access, Australian Business Tennis Tour will try to provide you with suitable means of accessing it (for example, by mailing or emailing it to you). Australian Business Tennis Tour may charge you a reasonable fee to cover our administrative and other reasonable costs in providing you the information. Australian Business Tennis Tour will not charge you for simply making the request and will not charge for making any corrections to your personal information. There may be instances where Australian Business Tennis Tour cannot grant you access to the personal information it holds. For example, Australian Business Tennis Tour may need to refuse access if granting access would interfere with the privacy of others or if it would result in a breach of confidentiality. If that happens, Australian Business Tennis Tour will give you written reasons for any refusal. If we provide you with access to personal information Australian Business Tennis Tour holds about you and you believe that personal information is inaccurate, out of date, incomplete, irrelevant or misleading, then you may request that we amend it. Australian Business Tennis Tour will consider if the information requires amendment. If Australian Business Tennis Tour does not agree that there are grounds for amendment, Australian Business Tennis Tour will add a note to the personal information stating that you disagree with it. If you believe that your privacy has been breached, please email info@abttour.com with a full description of the issue. Australian Business Tennis Tour will treat your requests or complaints confidentially. Australian Business Tennis Tour’s Privacy Officer will contact you within a reasonable time after receipt of your complaint to discuss your concerns and outline options regarding how they may be resolved. Australian Business Tennis Tour aims to ensure that your complaint is resolved in timely and appropriate manner. Australian Business Tennis Tour takes reasonable steps to ensure your personal information is protected from misuse and loss and from unauthorised access, modification or disclosure. Australian Business Tennis Tour may hold your information in either hard copy or electronic form on our servers and secured third party servers. Personal information is destroyed or de-identified when no longer needed. As our websites are linked to the internet, and the internet is inherently insecure, Australian Business Tennis Tour cannot provide any assurance regarding the security of transmission of information you communicate to us online. Australian Business Tennis Tour also cannot guarantee that the information you supply will not be intercepted while being transmitted over the internet. Accordingly, any personal information or other information which you transmit to us online is transmitted at your own risk. Our websites may contain links to other websites operated by third parties. Australian Business Tennis makes no representations or warranties in relation to the privacy practices of any third party websites and Australian Business Tennis is not responsible for the privacy policies or the content of any third party websites. Third party websites are responsible for informing you about their own privacy practices.